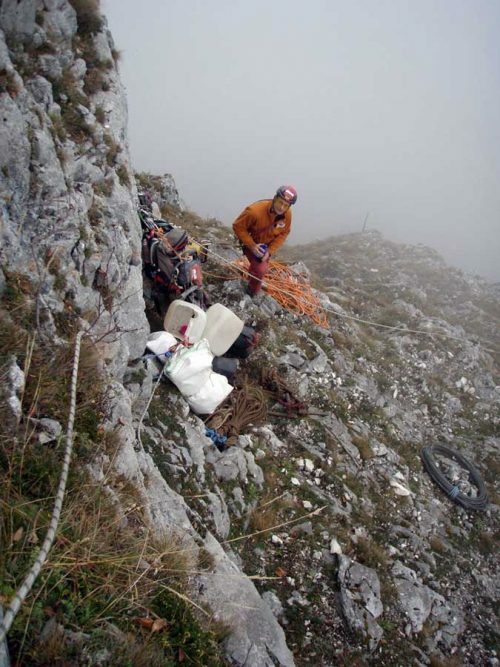 Work on the rough terrain, exposed and difficult to access. 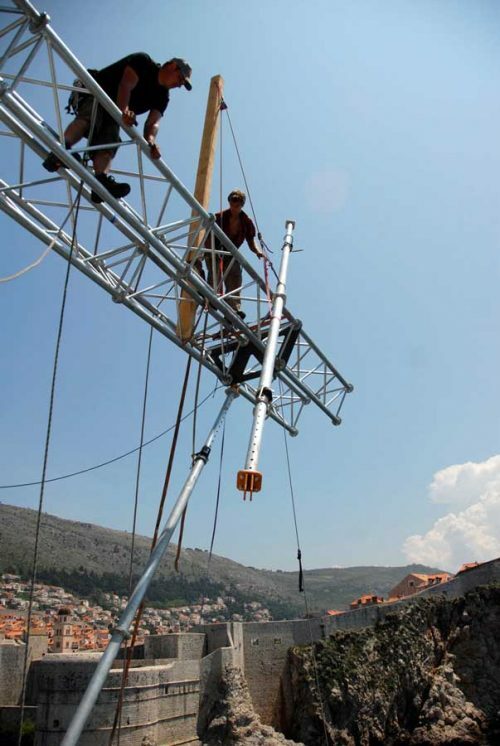 Without complicated, complex scaffold superstructures. 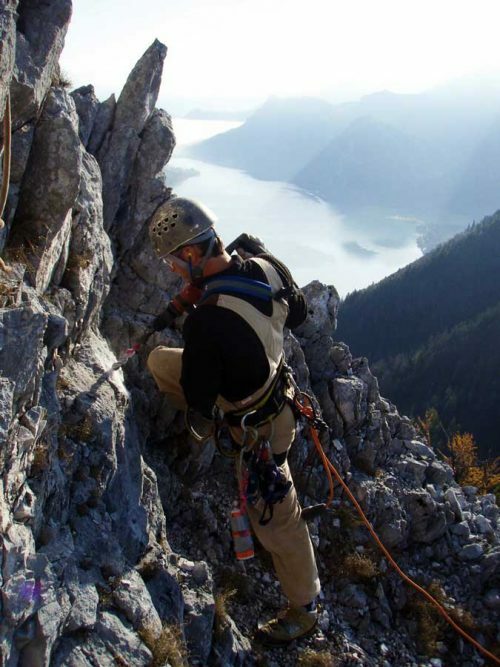 Our extensive experience in the mountains also benefits the Outdoor Leadership team in an entirely different area. 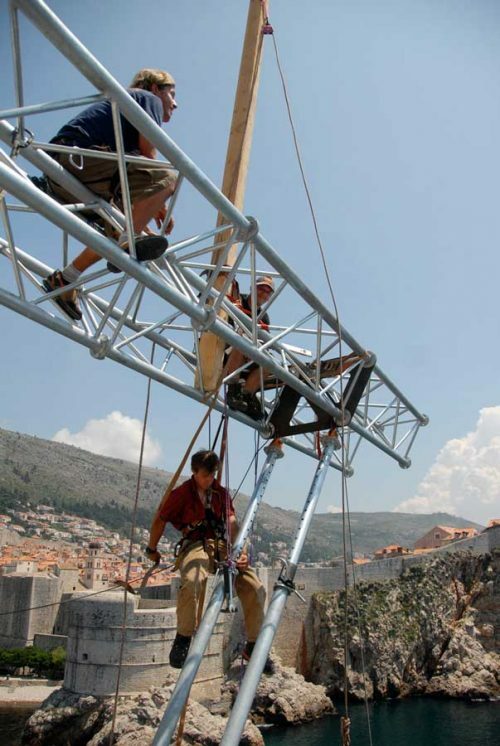 Difficult montages at dizzying heights, which can not be performed by everyone, are a special focus. Our staff has been specially trained for this work. 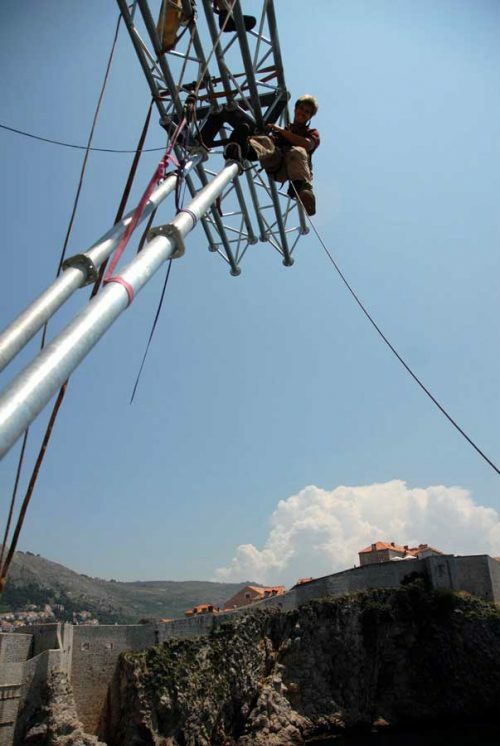 We work wherever others draw a curtain: in places that are difficult to access, high buildings, mountain, gorges, etc. 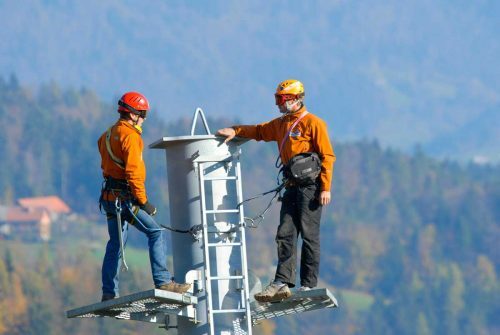 Whether it is mounted or disassembled on cableways, in the case of staircases, or when attaching or dismantling elements to external facades. 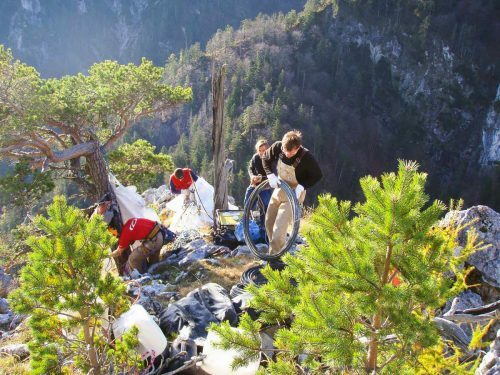 Where we can no longer be used with conventional aids, we are helping you by Outdoor Leadership! 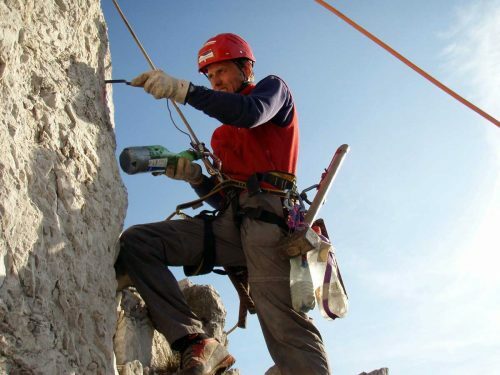 Climbing gardens, plant construction: We build climbing gardens on natural rocks and artificial walls, indoor and outdoor. 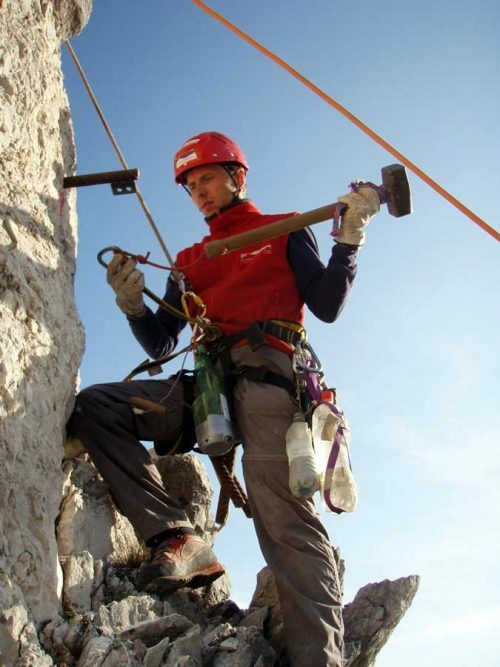 For 25 years, we have been setting up climbing systems with international standards and state-of-the-art components. 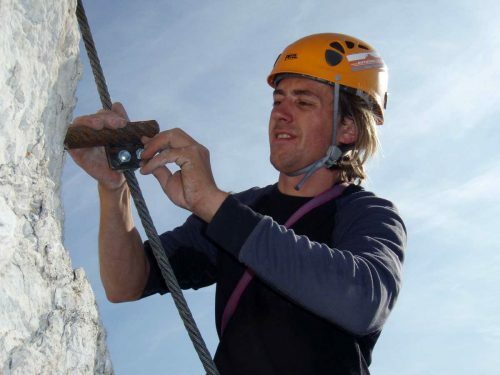 We build indoor and outdoor climbing systems, climbing boulders, boulder parks and, above all, fixed rope routes. Advice directly on site, offer without charge. 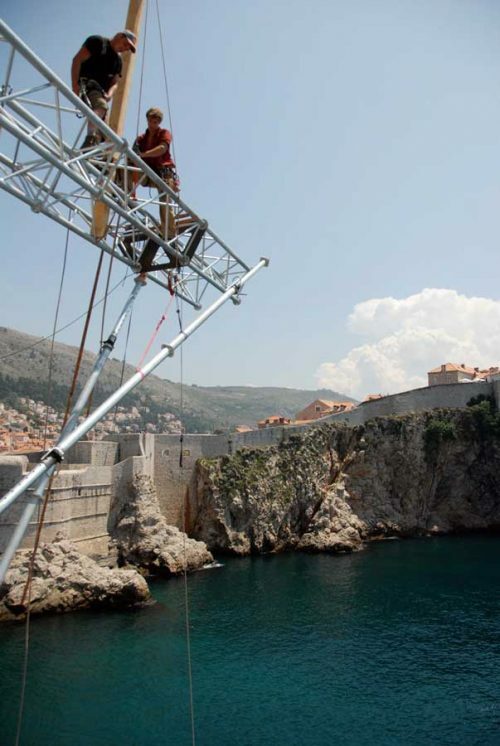 Our technology does not require a crane (which would be costly or difficult to drive) or another vehicle. 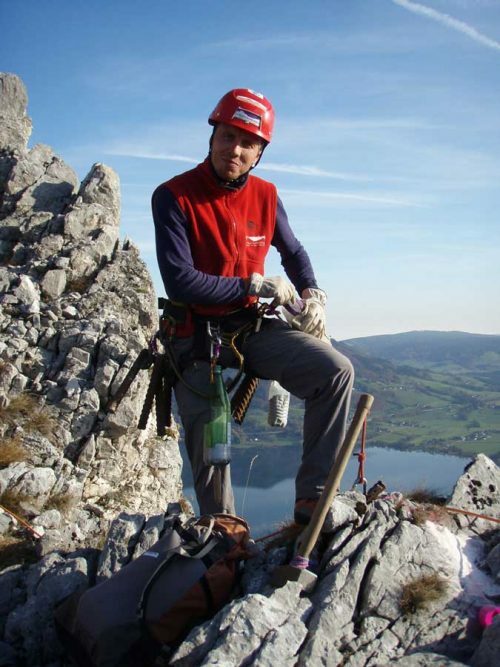 Where there is a risk that the tree or the branches fall on houses, fences or roads, we work with a special technique in which the tree is removed in stages from top to bottom. 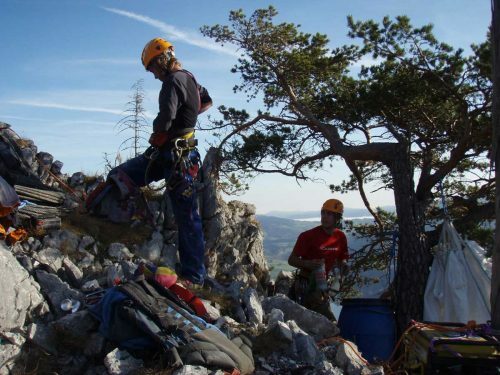 From the climbing position, the trees are cut into small pieces and rafted, so that no damage occurs on the ground. This is a very gentle way for their land. 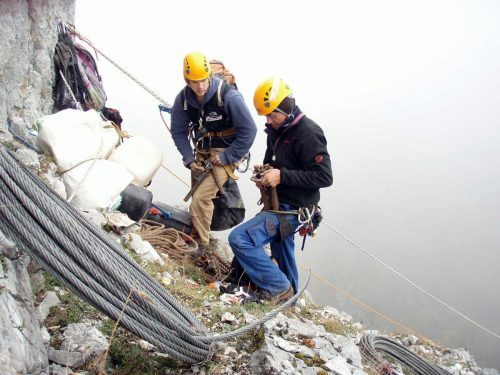 1984 haben wir den ersten Klettersteig im Dachsteinmassiv eingerichtet. 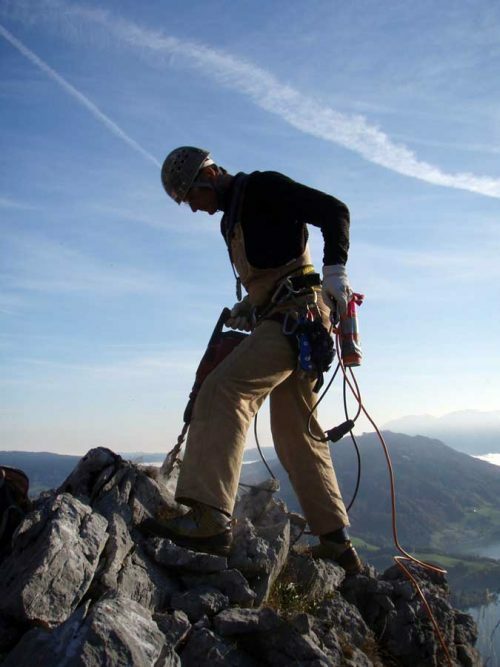 Seither sind 3 bis 6 Klettersteige, alpine Anlagen, sowie Übungsklettersteige in den Niederungen oder um Hotels pro Jahr gebaut worden. Unsere Systeme sind seither von uns innovativ weiterentwickelt worden und waren immer zu ihrer Zeit Vorzeigeklettersteige. Auch derzeit sind wir führend was die Technik im Detail betrifft. Es gibt keine Normen! 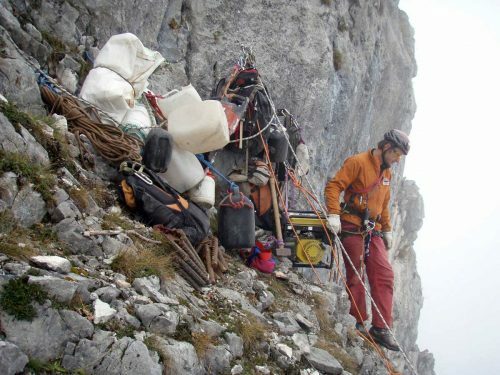 Jeder Klettersteig benötigt eine andere Vorgehensweise und Ausführung. Individuell, je nachdem wo die Anlage errichtet wird, werden entsprechende Materialien und Anschlagemittel eingesetzt. 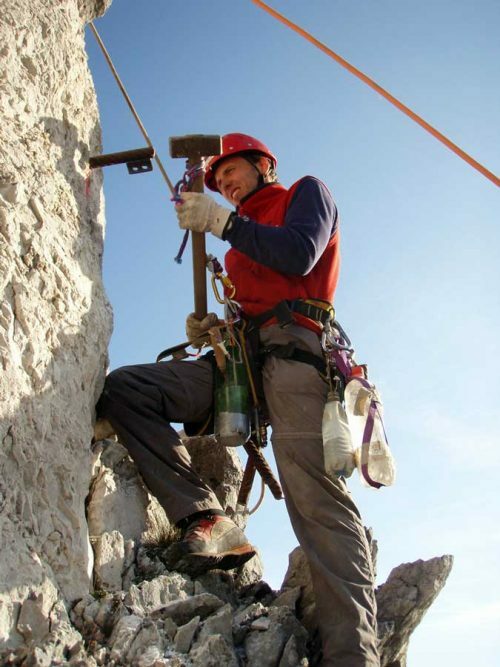 We work at positions that are difficult to access or are exposed. 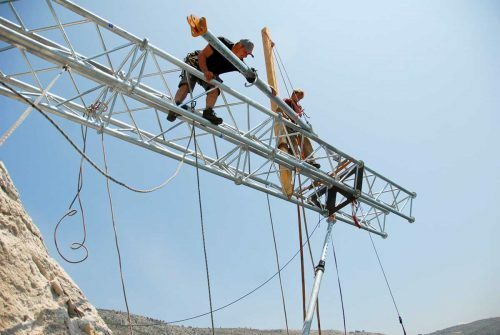 We work in extreme rock formations or buildings – we carry out repairs and assemble light to extremely heavy material in (almost) every position!